Can Shantys Pill Accessories help you? 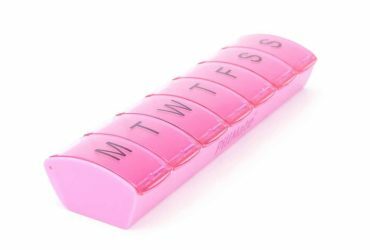 Shantys pill accessories can be a very big help to anyone who struggles or doesn’t enjoy taking medication in the form of tablets and pills. American researchers estimate that 25% of people aged 65-69 take at least five prescription drugs to treat chronic conditions, this statistic jumps to nearly 46% for people aged between 70-79. Medication and pills can often be a problem for lots of people. One of these problems can be the ingestion of the medication, one reason for this is that the body naturally wants to break down things in the mouth before they are swallowed and so swallowing a solid pill or tablet whole, particularly a large one can be an unpleasant experience. Some people even have difficulty stalling in general, the medical term for this is Dysphagia. Dysphagia can range from simply struggling to eat or drink too not being able to swallow at all. Also non-coated pills and tablets will immediately start dissolving when they come into contact with the mouth and so if nit swallowed quickly, they can leave an awful taste in the mouth or get stuck in the back of the throat. Shantys pill accessories can be a big help to anyone who struggles to swallow pills, or anyone who finds the process of taking pills unpleasant. 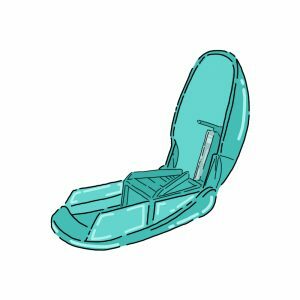 The first accessory that can be a big help is Shantrys Pill Crusher. 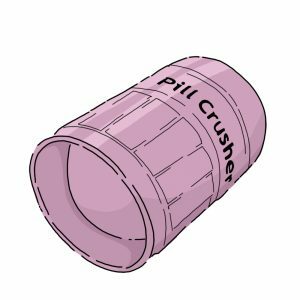 Shantys Pill Crusher can crush any non-coated pill or tablet, turning them into a soluble powder that can then be mixed into drinks for much more pleasant and easier consumption. Another very handy feature of Shantys Pill Crusher is that it has a small compartment at the bottom that can be used to store pills for easy transport. Shantys Pill Cutter is another accessory that aids people who struggle with pill consumption. The Pill Cutter does exactly what it says on the tin, its unique design means it can cut pills in half with the minimum amount of pressure. 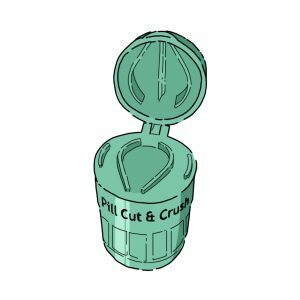 Because the pill cutter completely encloses the pill whilst it cuts and prevents the divided halves of the pill from going flying under the pressure. And once cut the two halves can easily be taken out from the pill cutter and are now ready for consumption. Shantys Pill Cut and Crush is Shantys ultimate consumption aid accessory, combining the pill crusher and pill cutter into one easy to use tool. 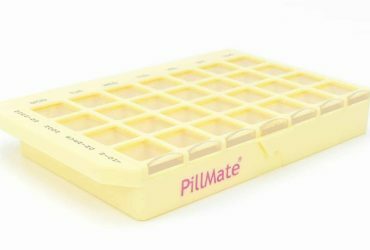 This versatile pill accessory gives you the option to either cut or crush your pills. Limited dexterity can also be a big problem for people who take pills and medication. Arthritis is a perfect example of a condition that affects and limits peoples dexterity, arthritis is a common condition that causes pain and inflammation in joints. In the UK roughly 10 million people suffer with arthritis and it can affect people of any age. Many of the treatments to help arthritis are some form of medication, from painkillers to anti-inflammatory drugs such as Ibuprofen. More often than not these treatments come in the form of pills or tablets, this is just one scenario where dexterity issues can be a problem when taking medication. 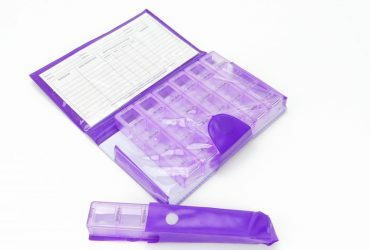 Shantys Pill Punch is the last of Shantys pill accessory range, designed to tackle the difficulty limited dexterity sufferers have when pushing pills through the foil of their packaging, Shantys Pill Punch is designed to make this process effortless. The complete package comes with four different sized pill punches small, medium, large and extra large designed for tablet and pill sizes. It also includes two handy cups for the pills to fall into for easy collection. For more information on Shantys Pill Accessory range and purchasing options please see Shantys Pill Accessories.